Tinzenite aggregates whose crystalline forms are very well defined for this rare species. 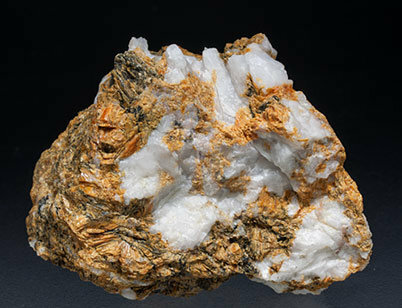 They have a color between cream and orange and are on a Quartz matrix with leafy Muscovite aggregates. The sample is from the type locality for the species.